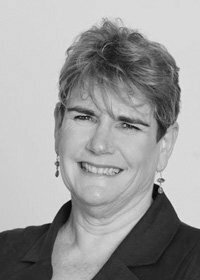 Bev has been working in international education for thirty years in four countries, including twelve years based in Vancouver working for Navitas as the President and CEO of University Partnerships, North America. She set up North America’s first pathway program, Fraser International College in partnership with Simon Fraser University, and later set up the International College of Manitoba in partnership with the University of Manitoba. During her tenure, she opened an additional eight university partnership programs in the USA. In mid-2018, Bev relocated to Australia where she is now Navitas CEO of University Partnerships in Australasia, Navitas’ largest division. Bev has been involved in all aspects of international education including curriculum design, student services, faculty and administration. She has developed and implemented the strategic vision for internationalization at several universities including internationalizing the curriculum, international recruitment and marketing, student support, and international partnership development. In 2014, Bev was awarded the International Education Distinguished Leadership Award from the British Columbia Council for International Education.